Tired Hands Brewing, all over the place !!! For those who don’t know me, I am Marc, the administrator of this blog. I have been writing articles and hosting this page for almost 4 years now. 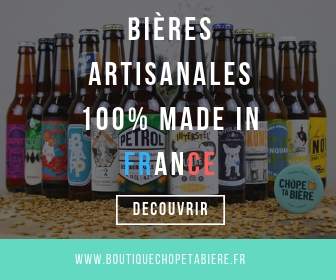 I normally write my articles in french, because it is my first language, but today, I thought it would be a good idea to write this text in english because I did something great this week-end, and I am sure you will be interested to learn a bit more about it !!! In 3 and a half years, I have had the chance to try a lot of beers from all over the world. But since I have discovered american beers 3 years ago, I just can’t get enough of your brews guys ! Via beer mail, I was able to acquire a lot of tasty beers and I am now at a point where I want to discover new breweries that are not that overhyped and still pretty young in their history. For the past 2 summers, I spent my vacations in Virginia Beach where I met a few beer buddies that helped me out to get nice beers ( Thanks Richard 😉 ). This summer, I was able to bring back a few beers from Tired Hands Brewing and when I talked with a good friend of mine here, Oldp0rt for those who know him, I discovered that he brought back a few too. Ever since my passion began, I have always liked to try a lot of beers from the same brewer to try to get to know the brewery better. So I told Oldp0rt that it could be nice to have all the beers ever bottled from Tired Hands. So I created a thread on Beer Advocate to try to get a full list of all of their beers. At first, I thought it would not be that hard because the list was not that long. But soon enough, after looking at the bottle count of every bottle, I thought my idea was a bit crazy. But normally, when I have an idea, I like to follow through. This tasting was no exception! So as time went by, I was able to slowly but surely acquire them all !!! Thanks a lot to a new very good friend, Rifugium, met a while ago on BeerAdvocate for a glassware trade. This time, my project was so inviting, that he decided to travel from PA to Montreal to attend this crazy tasting ! Plus he was helping us a lot by bringing the last 6 or 7 bottles missing to complete the line-up ! First of all, I want to mention that all the artwork on every bottles bottled at Tired Hands are awesome, maybe except Cassie ( I am not a cat lover 😉 ) As real beer geeks, we would drink from proper glassware and just to make sure we would not be missing beers, there was also 2 growlers that were added at the last minute! Also, 2 days prior the tasting Jean sent us a few unlabeled beers that will be released in the future. That way, we had all of the Parageusias and all of the emptinesses series beers ! We decided to start with the fruity nectar: the Emptiness set ! They were very tasty and my favorite was the dandelion one ! Good job on those beers. We were lucky enough to taste the peaches one that will be out soon and it was very promising ! The other beers that were very good were the Parageusia. The 3 beers in this set were very well done. I hope there will be more in the future ! All of the beers tasted held up the aging process very well, we were all very surprised about that because it was a concern for me ! Special mention to Happy Holiday, a tasty barrel fermented cider, it surprised us all ! Also, no need to mention that we drank a lot of water to be able to go back home safely after almost 12 hours of tasting. It was EPIC ! For those who didn’t try Tired Hands beers so far, don’t wait any longer, it is a must for all craft beer lovers. And for the 3 others that have the R5 saison in hand, I challenge you to get all of the bottles to make this very nice tasting ! You won’t be disappointed, trust me ! I hope to be able to visit your installation next summer and to meet Jean to thank him in person. Long life for this awesome brewery ! PS: for those of you who know their beers very well and have a great site, you will notice that the Handfram picture is missing. It is because it was the only bottle that I drank before this tasting, and we finished with it. I didn’t try it because I had to drive back home. But they are still in my cellar and it will be a pleasure to drink it very soon to remind me this very nice day ! Thanks to Oldp0rt for your hospitality. Thanks rifugium and guisseppefranco for your presence. And also a big thanks to itsajones for all the food plates you made for us ! I hope to see you all again soon !!! 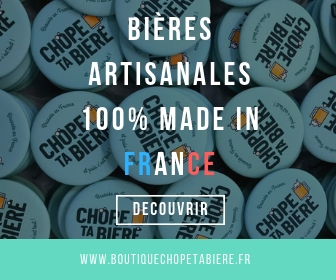 ← Le Blogue De Bières en lice aux Made In Blog Awards !! !